New features facilitate remote learning, exploration, and stylish lectures. 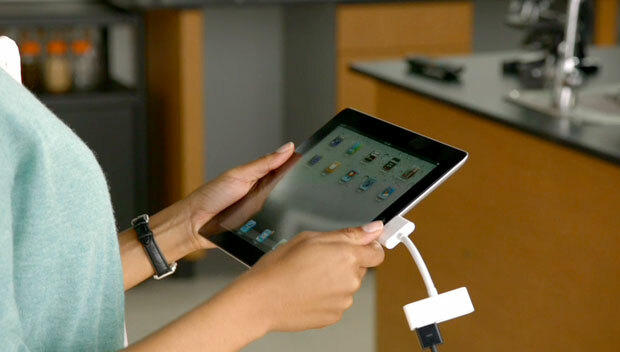 The iPad 2’s wealth of new features is a boon for tech-hungry classrooms. Enhanced Facetime will be great for remote lectures or office hours, high-definition video editing will facilitate exploratory learning and reporting, and real-time image mirroring will stylize lectures in science, history, and geography. Additionally, mobile learning is made possible through the iOS 4.3 hotspot update, permitting Internet connectivity for apple phones, tablets, and laptops. This will be especially valuable for recession-hit school districts, such as Detroit, scrambling for ways to solve ballooning class sizes. Skeptical educators can be relieved that the iPad was deemed classroom ready by Reed College, and that remote learning can be just as effective as in-class lecturing. Educators are eager to break students free from of the nap-inducing prison of concrete lecture halls. Universities, such as Abu Dhabi, are integrating classrooms into mobile devices to keep procrastinating students alert on due dates, keep discussions alive after the bell rings, and promote serendipitous idea sharing. Apple’s new front-facing camera will facilitate interaction between students and teachers as they roam campuses and cities. Education isn’t restricted to just peers within the same school. For language learning, Marquette uses Skype to connect nascent speakers from different countries. Finding a partner school will likely be even easier with Skype’s new online community for teachers. Public school districts, such as Detroit, could ease the pressure of crammed classrooms by permitting exploratory research in museums, at gardens, or public libraries. With real-time communication, specific class times could still be maintained, so that all students are learning together for at least some period of the day. Incidentally, the iPad could spell the end of snow-day cancellations. Sorry, kids. In the near future, lectures will become the homework. The Gates and Google funded Khan Academy found that lectures were more effective when students could listen to and replay lectures at their own pace at home. The iPad’s video capture feature will allow teachers to join the movement by pre-recording their lectures as homework the day before a new classroom topic. Additionally, teachers could hold virtual office hours from anywhere in the world. Duke University has been encouraging professors to hold online office hours for years, so that jet-set professors could keep in touch with students while at conferences and also to encourage their faculty to engage with eager learners outside the university. Despite the hype of mobile learning, traditional lectures will dominate classrooms for the foreseeable future. Why not spice lectures up? 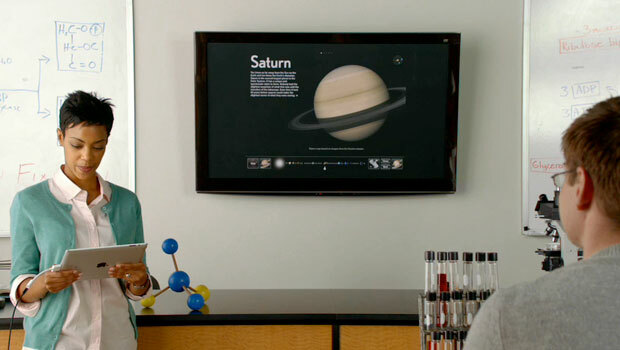 Apple reveals how mirror imaging, which projects images from the iPad to a larger screen, would work inside a classroom [image below]. Google’s new Body Browser would be great for anatomy classes (and, is available now). In the near future, we expect a host of interactive textbooks to augment lectures. These are just a few of the uses that are immediately obvious. However, the wonderful thing about technology is that investigating new applications is educational in it-self. Tech-happy students will be eager to explore new ways of using tablets and sharing their discoveries with the world. Follow Fast Company on Twitter. Also, follow Gregory Feresntein on Twitter or email him.